In this April 4, 2019, file photo, Democratic presidential hopeful and South Bend, Indiana, mayor Pete Buttigieg speaks at the National Action Network's annual convention in New York City. Pete Buttigieg may not become president or win the Democratic primary, but he's already broken a barrier by delving publicly and intimately into his struggle with his own sexuality in a way no other serious presidential candidate has, NBC News reports. 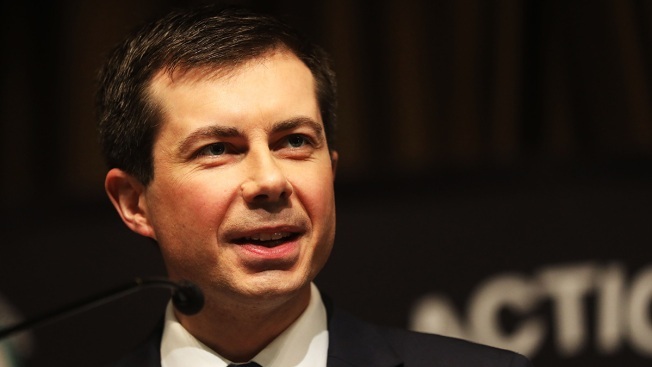 In a speech before an audience of LGBT rights supporters on Sunday, the mayor of South Bend, Indiana, did not describe being gay as something he always believed was acceptable. Instead, he described wrestling with his sexual orientation as “a kind of war” — one he said he was only able to win when he came home from serving in Afghanistan.